This is my first batch of soap I have ever made. 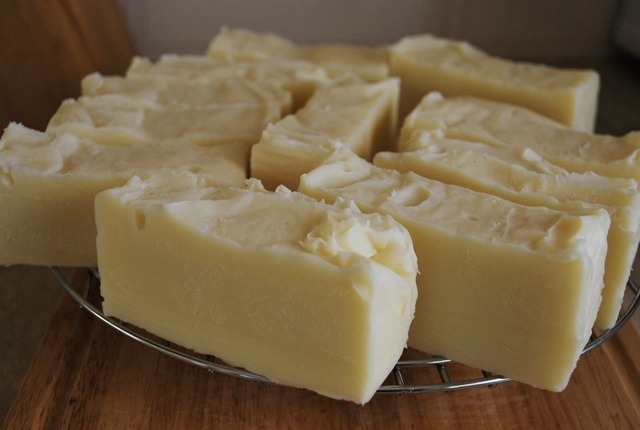 I decided make my own when I was having trouble finding soap not containing beef fat (tallow) or palm oil. If you’re unaware of the devastating effects palm oil harvesting is having on the orangutan population, I urge you to do some reading. I was very surprised to find out the other names of palm oil, and instantly recognised them as I have read them on so many products. This entry was posted in coconut oil, free, olive oil, palm oil, soap, vegan and tagged coconut oil, handmade, olive oil, palm oil, soap, vegan on March 21, 2012 by Rebecca McQueen.